Dual screen smartphones are not entirely a new breed of smartphones. The concept has been around in the market from as long as 2014 with devices like the Yotaphone being among the first to sport two displays. Recently, with the race to eliminate all bezels on the device, OEMs have gone back to experimenting with this design decision. Devices like the Yota3, the Meizu Pro 7, the ZTE Nubia Z18S and more recently, the ZTE Nubia X, have all further played along with the idea of a second screen for different uses. And now, Vivo is all set to do something similar with the upcoming Vivo Nex 2. Images for the Vivo Nex 2 come straight from the Chinese OEM themselves, showing off a peculiar dual-screen design. The front of the device is nearly bezel-less, with no notch as we believe there is no front camera at all. Instead, there is another screen on the back of the device, which is not bezel-less. If you look closely, you can also spot the triple camera setup housed within the strange camera bump. The purpose of the second display is very likely to aid in clicking selfies. The triple rear camera setup is rumored to come in a standard, wide and telephoto lens setup. The Nex 2 is also expected to sport a Qualcomm Snapdragon 845 SoC, up to 10GB of RAM and 128GB of storage. The front display is also expected to be an AMOLED display. The device is also rumored to sport an in-display fingerprint sensor under the front display. We’re awaiting further confirmation for these specifications, so do take these with a pinch of salt. 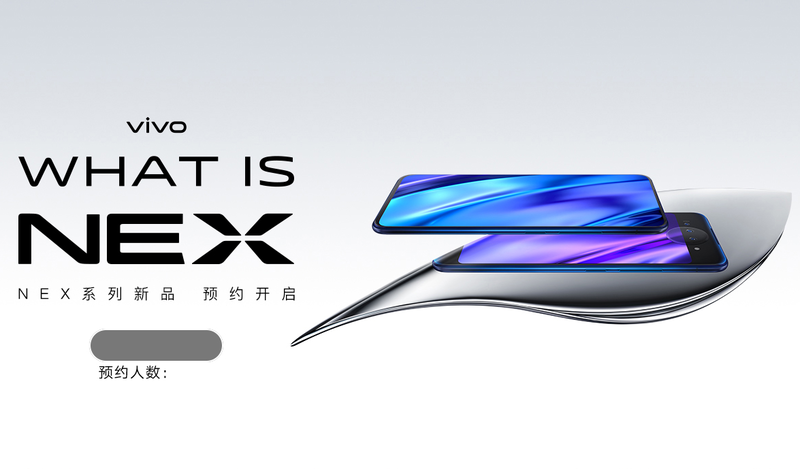 The Vivo Nex 2 is likely to be announced on December 11, 2018 in China. It is currently unknown if the device will make its way to other markets such as Europe and India.